Based in Dudley, Furniture for the Home aim to offer excellent value for money by working with select suppliers and delivering nationwide directly from their warehouses. They have years of experience in selling home furniture online, quickly realising the importance of meeting customer expectations on speed and service as well as quality of products. Their range of products offers a balance of quality and price, with a high standard of service and customer support that is vital for maintaining a good online shopping experience. As soon as you visit their website, you're able to create your dream bedroom, bringing your designs to life simply by browsing through their entire furniture stock. The variety of items available is huge. 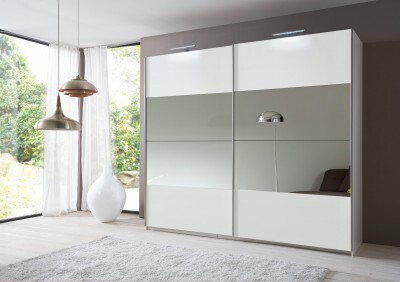 The companies exclusive 'SlumberHaus' German made range for example offers the dream modern bedroom, designed for modern living by providing the cutting edge in unique bedroom furniture. If you're looking for something more traditional, the 'Steens Bedroom Furniture' combines Scandinavian Pine with high quality MDF, finished in warm, neutral tones or fresh painted white. Furniture for the Home are always at the forefront of design trends, introducing new and innovative bedroom styles to their range. Huge stocks are kept at their distribution warehouse, enabling them to offer a quick and efficient delivery service to customers across the country. Having just moved into their fifth year of trading, Furniture for the Home are quickly becoming the first choice for bedroom furniture in Dudley and the surrounding area. Combined with a team of Sales and Administration staff, they're perfectly placed to offer complete customer satisfaction alongside any support or advice you may require. Making a purchase could not be easier, whether you call them directly, browse the website or visit the store directly. 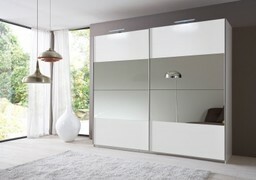 If you're looking for bedroom furniture in Dudley or throughout the UK, Furniture for the Home can help. For more information, check their website or alternatively call 01384 232 750. Free Delivery throughout January and February when you spend £150 or more and delivery is within 15 miles of their postcode.